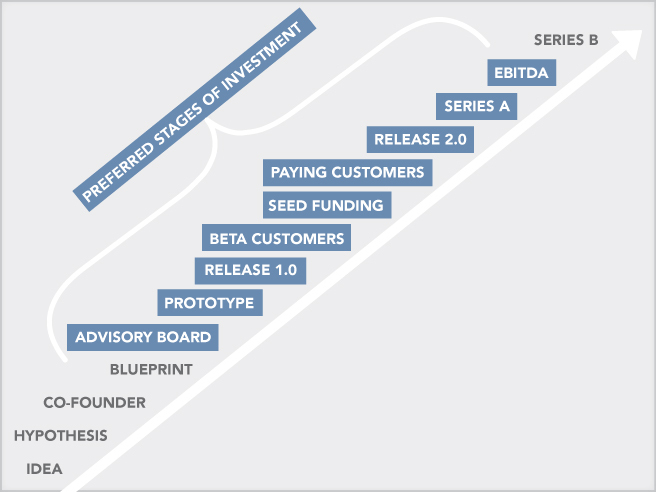 Early-stage: Companies at the beginning of their development cycle. Prototype or beta versions of products with initial customer traction should be available. See also Preferred Investment Stages. Technology and/or online focus: Business or product ideas that use technology and/or online strategies as their foundation. Competitive advantage: Your business plan must identify how you will be able to use innovation to grow market share, within a likely fiercely competitive landscape. High growth into large target market: Opportunities that have the potential to change the existing market or create new markets. Management: We look for management teams who are visionary, passionate, committed, tenacious, coachable and credible. Assessing a good fit: If your business fits the target profile, you are encouraged to send us your business plan and pitch deck. If you are unsure about the fit, please send us an e-mail inquiry. Initial contact: Companies representing a potentially good fit are discussed by our team and we will offer an in-person or Skype meeting to review your proposal and clarify any open points.